Greens and beans are an Italian classic, especially escarole and white beans with lots of garlic. If you are not familiar with escarole, it resembles a thicker head of green leaf lettuce. It’s delicious and stands up to cooking, but can also be used in salads if it’s allowed a little time to marinate in it’s dressing. I love escarole but I also love cabbage, and I find it to be less expensive and more versatile. Since this is part of my Veganomics series, I’m going with the cabbage for this recipe. 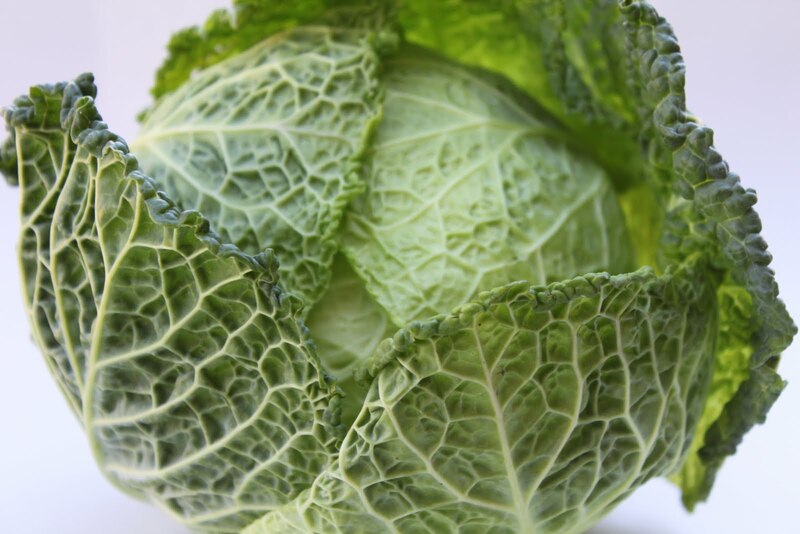 You can use any cabbage you like, green cabbage, savoy cabbage, or napa cabbage. These are the three most popular ones that I find readily available. I love savoy cabbage. I call it “medium” cabbage. Regular cabbage can be a little heavy and napa tends to be very light. While the savoy can be a little pricier than the green, I don’t mind spending a little extra and it still stretches a buck. Even though we are basing this Veganomics series on the versatility and delicious nature of beans, I’d like to give you some ideas for using the leftover greens from the recipe below. Here is my favorite recipe for greens and beans. Mangia! 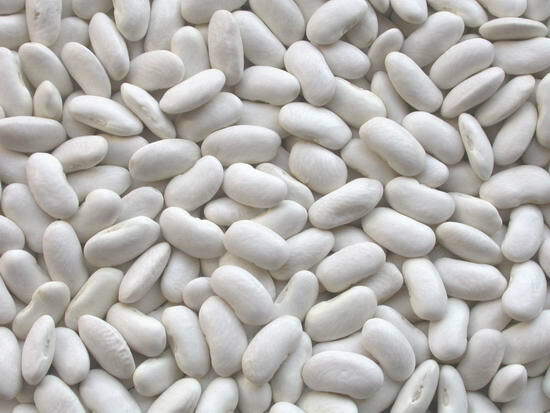 Rinse and then soak dried beans for at least a couple of hours or overnight, if possible. If you don’t have time to soak the beans, you can skip this step. Just keep in mind that it could extend your cooking time. Simmer for approximately 30 minutes to 1 hour until they are cooked through. Add about one teaspoon of salt to the beans about halfway through cooking. If using canned beans, skip this step. Coat the bottom of a large sauté pan with oil. Over low heat, cook whole cloves of garlic until they are very soft. Remove them from the oil. Mash the garlic with a little salt to make a paste. At this point you can raise the cooking heat to about medium. Add the cabbage and cook until wilted. If the pan seems a little dry add some water. This will create some steam and quicken the cooking time without having to add extra oil. Remove cabbage from the pan. Add a little extra oil if needed and then sauté the white beans to heat through and soften up. Add in the mashed garlic and stir to incorporate with the beans. Add cabbage back in and cook until everything is heated through and cooked to your liking. Along the way add salt and pepper to taste. Pile on a serving platter. 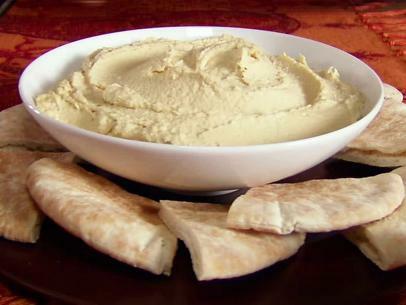 Just before serving you can drizzle lightly with a good quality olive oil and some lemon juice or balsamic vinegar. Use the red pepper flakes at any point during the cooking process or serve at the table for a finishing touch. Enjoy. Serves 4 as a generous main course portion or as a side dish for 6 – 8 people. While this is delicious reheated, as is, for lunch or dinner, here are some other tasty options. Turn it into a soup, by adding stock and veggies of your choice (i.e., diced potatoes, carrots, tomatoes) and simmering until the veggies are cooked through. Adjust seasonings and enjoy. Toss it with pasta and sun-dried tomatoes and dress with some pasta water and olive oil. Categories: Veganomics | Tags: Affordable, Beans, dairy free, Dried Beans, fat free food, food, gluten-free, healthy, healthy food, ingredients, natural, Plant-Based Diet, real food, RealishFood | Permalink.